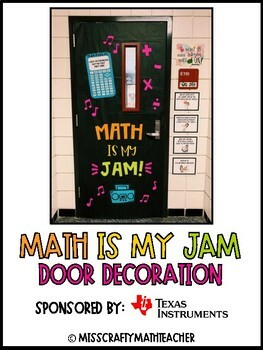 If you are a math teacher and math is your JAMMM, then this door decoration is perfect for you! - A picture to reference when setting up your door! I would love for you to tag me in a photo of how you used this product!